LA JOLLA–(September 14, 2018) Studying the fundamental aspects of biology can sometimes lead to unexpected findings that directly relate to human disease. In one of the latest examples of scientific serendipity, researchers from the Salk Institute found that an important quality control mechanism in baker's yeast is closely connected to hypomyelinating leukodystrophy, a debilitating disease found in children. The findings, reported September 7, 2018, in the journal eLife, could indicate a therapeutic approach for this rare disease, as well as for multiple sclerosis and other neurodegenerative diseases. "It's a total coincidence that we made this discovery," says Salk American Cancer Society Professor Tony Hunter, the paper's senior author. "We wouldn't have guessed that this yeast protein would play a role in human disease in this way." In the face of genetic damage–from cancer or other diseases–cells mobilize molecular processes that act as repair crews. For the past decade or so, one focus of Hunter's lab has been the study of certain proteins that regulate these repair procedures through a process called sumoylation. SUMO addition to proteins, or sumoylation, acts as a quality-control mechanism to signal to a cell that the protein should be cleared out. 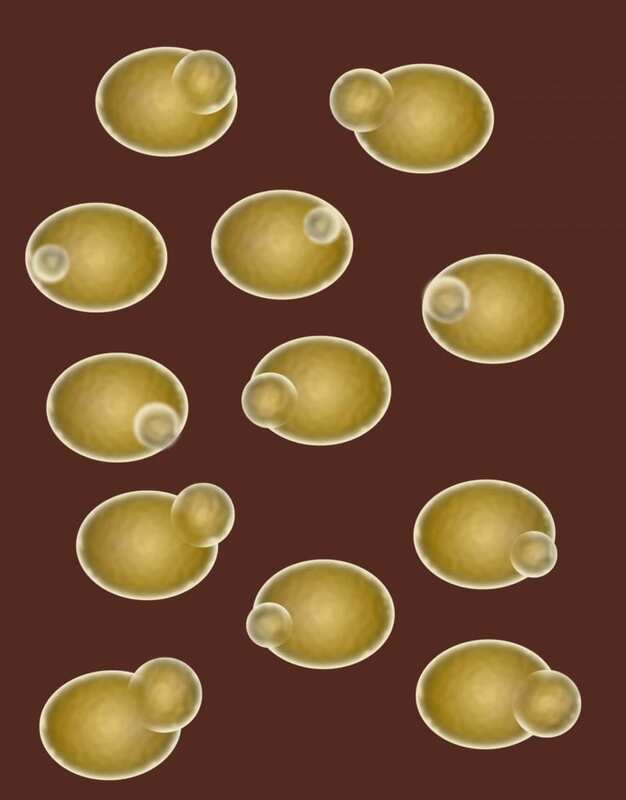 In the current study, Salk Research Associate Zheng Wang, the paper's first author, set up a genetic screening test in yeast to determine which proteins relied on sumoylation to function properly. He identified several subunits of a protein complex called RNA polymerase III–which plays an important role in copying DNA into RNA–among those that were affected. The team found that when Pol III was mutated the cells stop growing, because the mutant Pol III cannot make enough transfer RNAs (small RNAs that are needed for cells to synthesize proteins). However, that defect could be rescued by reducing sumoylation in the yeast cells. At the same time the research with Pol III was going on Hunter's lab, other groups studying hypomyelinating leukodystrophy–a neurodegenerative disease characterized by the loss of the protective insulation around nerve cells (myelin)–discovered that the condition was caused by mutations in Pol III. Although Pol III was known to be important for the regulation of cell growth, this was the first time a specific disease had been connected with defects in Pol III. Due to the loss of myelin insulation around nerves, people with hypomyelinating leukodystrophy have delayed development, intellectual disabilities and impaired movement. There is currently no therapy available. However, the Hunter lab's new findings suggest that one way to limit the effects of these mutations may be to partially inhibit sumoylation, which would in turn block the effects of the mutated Pol III. The research still has a long way to go: sumoylation is important for many other functions as well, so inhibiting it in all cells would not be a useful approach. Furthermore, although the new findings partially explain the loss of myelin due to genetic mutation, the investigators still don't know why these Pol III mutations affect oligodendrocytes–the cells that coat the nerve axons with myelin–in particular. Hunter's lab is now working in a collaboration studying mouse models that have mutated Pol III to investigate the effect of these mutations on embryonic development. His group also plans to study similar Pol III mutations in induced pluripotent stem cells (iPSCs) as well as in other types of cells, including cancer cells, to try to gain further insight into the mechanisms that underlie Pol III defects. Other researchers on the paper were Catherine Wu and Aaron Aslanian of Salk, and John R. Yates III of The Scripps Research Institute. This work was funded by National Institutes of Health grants 8P41GM103533-17, CA080100, 5P41RR011823-17, and CA082683. Every cure has a starting point. The Salk Institute embodies Jonas Salk's mission to dare to make dreams into reality. Its internationally renowned and award-winning scientists explore the very foundations of life, seeking new understandings in neuroscience, genetics, immunology, plant biology and more. The Institute is an independent nonprofit organization and architectural landmark: small by choice, intimate by nature and fearless in the face of any challenge. Be it cancer or Alzheimer's, aging or diabetes, Salk is where cures begin. Learn more at: salk.edu. How reliable are turtles for measuring ocean trash and marine health?